Last week, Detroit Congressman John Conyers became one more powerful man caught in a sexual harassment scandal. It was revealed he’d reached a settlement with a former employee a few years ago. The woman was paid more than $27,000, evidently with taxpayer funds. Conyers, who has served in Congress for more than half a century, confirmed the settlement but denied any harassment, and has stepped down from his post as ranking member of the House Judiciary Committee. That was fairly meaningless: If Democrats did recapture control of the House next year, they’d never allow a man about to be 90 to lead that powerful committee. Now, of course, the question is whether Conyers can survive at all. But what strikes me as utterly hypocritical is the reaction from other members of Congress, mostly Democrats, who profess themselves shocked by all this. They shouldn’t be, and probably aren’t. Stories about the way Conyers does business are legendary in Washington and Detroit. A woman named Deanna Maher used to be chief of staff for the congressman’s downriver office. More than ten years ago, she complained to congressional authorities that she was being sexually harassed by both Conyers and one of his male staffers. So far as I can tell, they did nothing about this or other complaints. 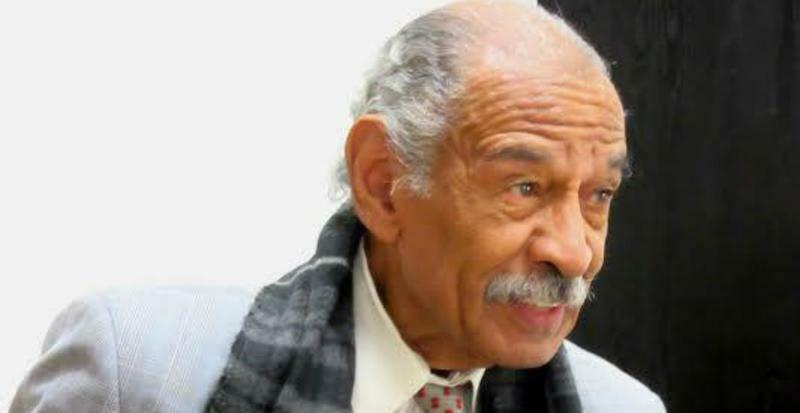 Indeed, Conyers has been guilty of more than enough known other abuses to justify action long ago – based just on what has been reported in the media. Joel Thurtell was an investigative reporter for the Detroit Free Press for years who now continues his work part time on his blog, joelontheroad.com. He told me that “Democrats could have avoided this scandal if they had confronted this problem 14 years ago, when Conyers’ errant ways with public funds were first reported,” mainly by Thurtell himself. Indeed, it was clearly established that Conyers had assigned his political staff to work on his and other political campaigns on government time and in government offices, which is a violation of House ethics rules and also, apparently of the law. Nothing happened after that was reported. The next year, just before Thanksgiving, a charity brought 60 frozen turkeys to Conyers’ office for distribution to the poor. Newspaper stories indicated staff members took the birds, and no poor people got any. Two years later, Thurtell reported that Conyers used congressional employees to pick up his dry cleaning, do his laundry, clean his house, and tutor both his children and his wife Monica, who was struggling with law school. One staffer was summoned to Conyers’ home and ordered to live there and act as a nanny, something she did for almost two months. Several employees did complain to the House Ethics Committee that time, but Conyers didn’t even get a slap on the wrist. He just agreed to “clarify work rules” so workers would know what their proper duties were. To be sure, there was a sense that Conyers was an untouchable icon of the civil rights movement, whose voters would reelect him no matter what. Eventually, Thurtell said his editors lost enthusiasm for Conyers corruption stories. But what is clear is that nobody in Congress should be the slightest bit surprised by last week’s revelations. For years, they’ve had evidence of wrongdoing in front of them. And they chose to do nothing at all.